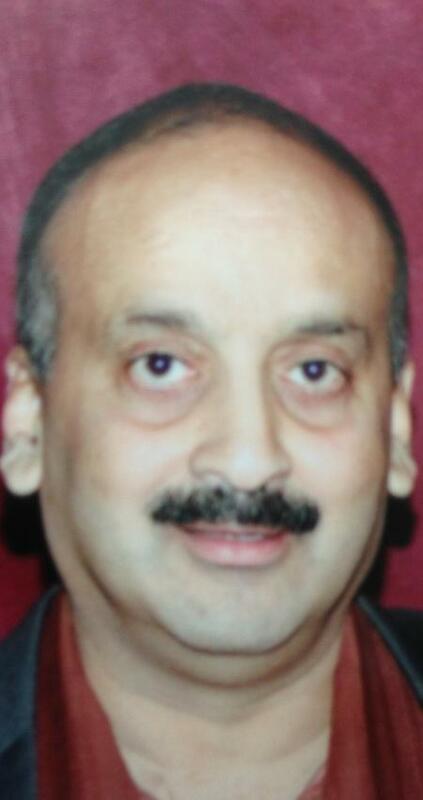 Joseph Colaco died on Friday August 23, 2013 at Robert Wood Johnson University Hospital in New Brunswick. He was 59 years old. Mr. Colaco was born and raised in Mangalore, India. He came to the US in 1980 and settled in Flushing, Queens, NY. He later lived in Parlin before moving to South Brunswick in 1984 and finally to Monroe Twp. in 2005. He was currently employed as the vice president of business development for OHM Labratories, Inc./Ranbaxy Pharmaceuticals in Princeton where he worked for over 30 years. He was a member and mentor of MCA-EC and was a parishioner of Immaculate Conception RC Church, Spotswood. He was pre-deceased by his parents, Harold C. and Assumption (D'Sa) Colaco and two siblings, Gerard, and MaryLou. He is survived by his wife of over 33 years, Purnima (Sheth) Colaco of Monroe Twp., two children, Premal Joseph Colaco and his fiancée Kieran Jayne of Philadelphia, PA, and Christine MaryLou Colaco of Hoboken, four siblings, MaryAnn Sequeira and her husband Eric of Denver, CO, Michael Colaco of Abudhabi, UAE, Philip Colaco and his wife Vijaya of Wantagh, NY, and Eugene Colaco and his wife Tina of Fort Lee, and many other extended family members. Funeral services will begin at 9:30am on Wednesday August 28, 2013 from the M. David DeMarco Funeral Home, 205 Rhode Hall Rd. Monroe Township, NJ 08831, 732-521-0555. A funeral liturgy will be 10:15am at Immaculate Conception RC Church. Disposition will follow Mass. Visitation will be 5-9pm on Tuesday at the funeral home. For those who desire, memorial contributions may be made in Joseph's name to the charity of one's choice. I got this news from our Junior Kaushik, who got it from Gerald Tellis BMD77.